Victoria has begun filming on a new series of It's Me or the Dog. This series has been commissioned by Animal Planet in the US. More info regarding this series will be posted here as it becomes available. I watch the show and manytimes I wonder what the heck is wrong with these people. they allow the dog to run wild. And the animal is totally out of control. It was for sure not like that as a puppy. The allowed it to happen and to me they should not be allowed to have a pet unless they can handle it. Some of these people have the totally wrong dog. Some breeds are not for eveyone. People need to check out the temperment of a breed before buying them. Look at the American kennel Club, web site, and look at the breeds, see what it takes to take care of the dog, and what kind of temperment the animal has. They will tell you all the information one needs to know on the breeds. Breeds like Rotiwellers, Dobermans, Husky's, German Sheperds, these breeds are not really for the everyday person. They take a person who knows what they are doing with them. They are not really a family dog. Victoria just uses common sense, when she teaches a person. 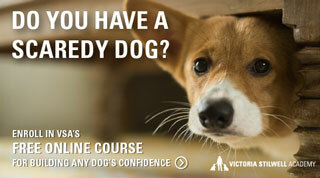 Its not the dog tthat needs training its the owner. They have no idea what the heck they are doing. It sometimes make's me wonder how there childern are. If the dog is out of control I wonder if the childern are too. I love this program.. Im a big fan of VICTORIA, she is wonderful and intelligent woman.. God bless you and thank you for worry about the dogs..
Glad to see a new season will begin! Altho' I haven't seen all the episodes,so the show is still new to me,even the episodes others have seen as repeats. see this link for instructions on how to appy for the US version of It's Me or the Dog. Eevee, 10-year-old Border Collie mix - My Heart Dog! No breed is for everyone, but I would not say those are not family dogs, so long as they are matched with the right person they are great family dogs (3 of those breeds are not so friendly if you are breaking into the family's house though and husky's are a breed who need more exercise than many people can handle) but all breeds will be a menace in the wrong hands (including my relative's aggressive Shih-Tzu who has bit at least 4 people). On another note I am THRILLED that you are coming to the US, we need a good dog trainer on TV here, the only one we have is really no good. I can't wait for the new season! !